Austin luxury real estate, there are many things that we want: spacious floor plans, formal living and dining rooms, oversized family areas, large bedrooms and gourmet kitchens are just some of the features we may want included. But, how often do you think about positioning your home to best showcase that breathtaking view that made you fall in love with your lot? That’s where Sterling Custom Homes comes in. They use their more than 22 years of experience to help buyers carefully choose the layout of their homes to augment the natural beauty of the surrounding landscapes. So, how do they do it? 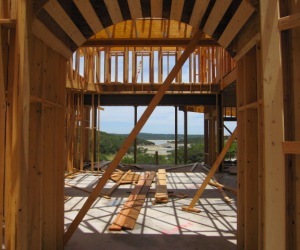 First, Sterling Custom Homes takes several factors into consideration to maximize a particular view corridor including sun orientation, slab heights and even trees and access. Then, the Austin builder discusses these variables with its client to determine which views are most important to been seen in each room. The result is phenomenal with breathtaking views in the parts of the home that you’ll spend most of your time in. home builders in Texas, Sterling Custom Homes designs unique, cutting-edge floor plans in a variety of the Austin area’s premier custom home, private gated and resort golf communities.